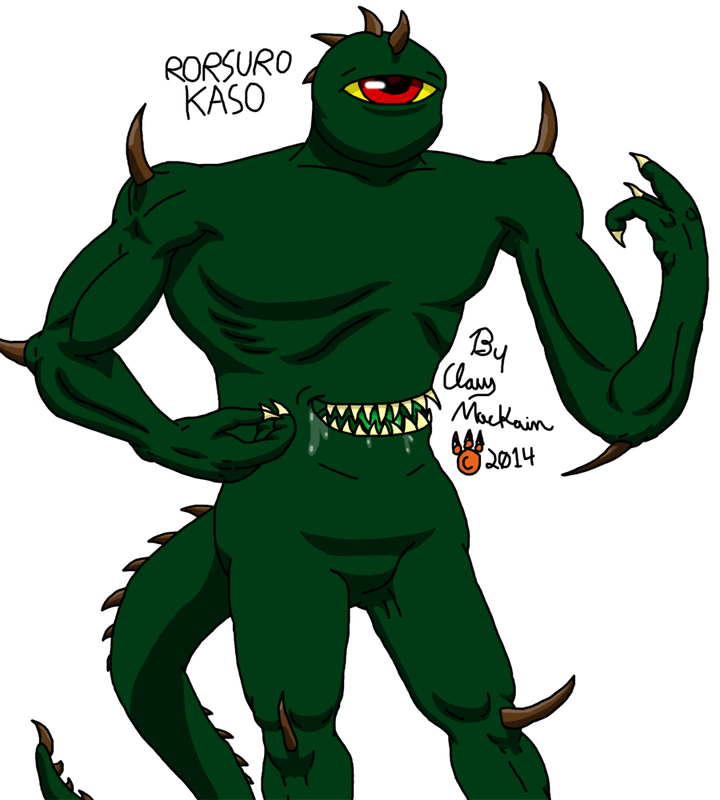 Rorsuro Kaso is one of the few remaining of a monster species thought to be extinct, the Dahshera. They're a gluttonous race that will devour any living being with their stomach mouth. The Dahshera are an asexual species, as well. Once they devour enough people, the mouth on their stomach coughs up a clod of flesh, which eventually grows into another Dahshera. Either they need to be eliminated or the world will be overrun with these evil beasts.